Our latest imported soapstone is a soft stone and light seafoam green in color with hints of creamy white and pale grey. Easy to work on, this is a great beginner’s stone. You can add either a single item or multiple items to your cart here. Don't forget to click on the Add to Cart button at the bottom of the page to add your selections to your cart. Seafoam Green Soapstone - 4 lbs. Seafoam Green Soapstone - 6 lbs. 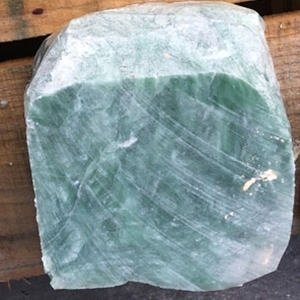 Seafoam Green Soapstone - 8 lbs. Seafoam Green Soapstone - 10 lbs.